Watching: Anna Karenina. Tolstoy’s mighty classic, directed by Joe Wright and starring Keira Knightley, Jude Law and Aaron Taylor-Johnson. The cast does a wonderful job; and Wright’s theatrical background shines through- the transitions between scenes unfold as if on stage in a real theatre. Listening to: The Longest Time by The Overtones. I’m an acapella and vocal harmony kinda girl- I was part of an acapella choir in college (yes, loud and proud!) and The Longest Time was part of our repertoire. Love The Overtones’ version! Awestruck by: Images of the Facebook vault. This is where all our likes, shares, you-name-it are stored! 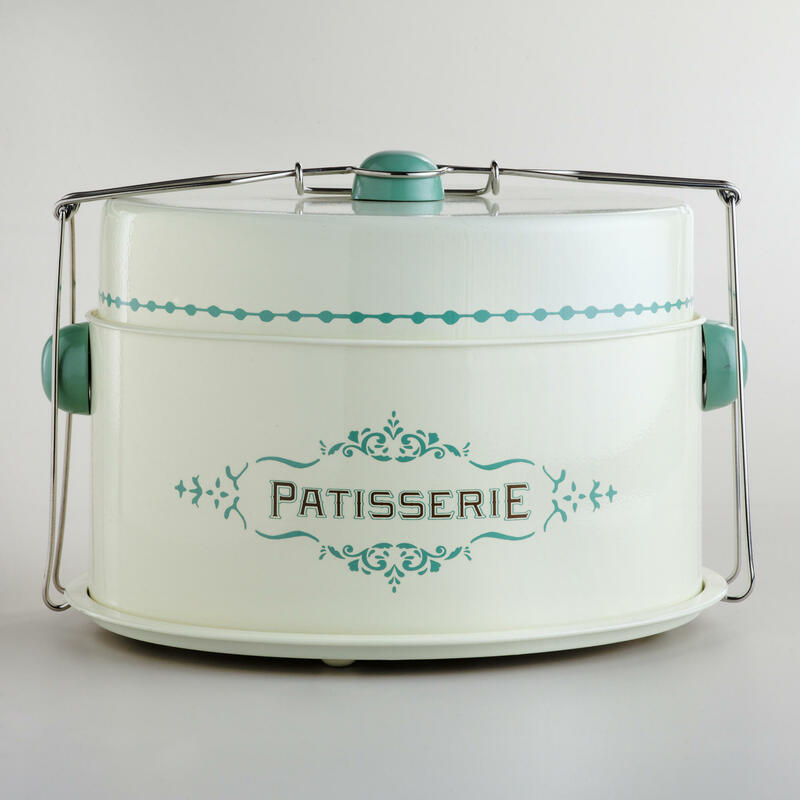 Loving: This cream patisserie cake carrier from World Market. It’s so pretty and quaint, isn’t it? I want that cake carrier! I bought a plastic one from Singapore. But this is so pretty!